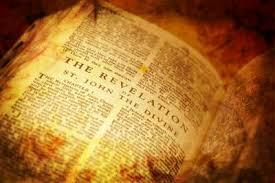 Chapters two and three of the book of Revelation contain a series of seven letters. These issued from the resurrected-ascended Christ himself, and were directed to seven representative congregations of the Roman province of Asia. The sacred record affirms that Jesus Christ “walks” (present tense; constant supervision) in the midst of his churches (2:1; cf. 1:20b). Repeatedly it is stated that he “knows” these church members’ “works,” i.e., their activity—or lack thereof (2:2, 9, 13, 19; 3:1, 8, 15). Some of these groups were commended generously with no censure, even though they were imperfect people (Smyrna, Philadelphia); four of them received mixed reviews. The Laodicean congregation was given no word of praise at all. These were a collection of sluggish saints, oblivious to their spiritual condition. In the strongest of terms, the Lord addressed them with the following rebuke: “I know of your activity, that you are neither cold nor hot. I would rather you be either cold or hot. But because you are lukewarm, and neither hot nor cold, I will spit you out of my mouth” (3:15-16). Christ classifies this church as “lukewarm”—in contrast to the opposite extremes of “cold” and “hot.” In a practical way, how may we apply these adjectives to congregations today? The “cold” surely describes numerous church members we have known in the past but whose names escape us—if not their faces as well. They were immersed into Christ, or else accepted into the fellowship when they identified with the local church. Sadly, however, in many cases no significant growth in them occurred, and they exhibited no real interest in such. They were occasional attendees, but never involved themselves in congregational activity, and exhibited little indication of genuine dedication. To borrow an expression from Titus: “They profess to know God; but by their actions they deny him, being abominable and disobedient, and unto every good work reprobate” (1:16). With the passing of time they attended worship less frequently; eventually, not at all. No one has any idea what happened to them until an obituary notice appears in the newspaper, and perhaps a phone call comes from a family member who wants the minister to do the funeral service—with a contrived eulogy about a wonderful “Christian” person. Actually, they died as “cold” in soul, as in body. Some of these “frigid” ones were overcome by worldliness. Paul once declared, “Demas forsook me, having loved this present world” (2 Timothy 4:10; cf. Luke 8:14). There have been numerous attempts to rehabilitate Demas’ reputation, but generally they are unconvincing. The term “hot” basically signifies to “boil.” The word is used metaphorically in this context to denote uncompromised zeal. One scholar characterizes the expression as “the glow of unconditional self-offering, if necessary even to death” (Kittel 1964, 877; cf. Revelation 2:10). This type of Christian is the ideal. Again Paul’s letter to Titus provides an excellent commentary. He says that Christ gave himself for us so that we might be a “people for his own possession, zealous for good works” (2:14). The term “zealous” denotes one who is wholly enthusiastic for a cause, as Paul was for the law of Moses before his conversion (Galatians 1:14)—and even more so on behalf of Christ afterward (2:20; 6:14). “Good works” is a comprehensive expression that sums up all of one’s obligations, both to God and humanity (cf. Matthew 22:37-40). Our lives have been blessed with countless examples of Christian people who ever are glad to spend and be spent for their Lord (2 Corinthians 12:15). They always are ready to prepare food for the needy, do physical labor to help the infirm, speak words of instruction to the lost, and to support all the various activities of the local church. They do not wait until drafted, but are volunteers of the first magnitude. Where would the church be without these precious saints? Our churches have a fair share of these. They are the perfectly healthy, Sunday-morning-only folks who cannot abide more than one hour of worship and study per week. Such, they feel, is entirely sufficient for the spiritual nourishment of their shriveled souls. They are like the sickly, disease-ridden person who has no appetite for food and the family cannot force him to take nourishment. These do not contribute more than a pittance of their income for the advancement of the gospel. They are never on hand for work activities, nor do they favor happy fellowship events with their presence. They are nitpicking grumblers and harping critics. They are far more destructive than productive. One might be inclined to exclaim, “God have mercy on the lukewarm,” except for the fact that he won’t—unless they turn from their evil, and genuinely invite him into their lives (1 John 5:16). Kittel, G. 1964. Theological Dictionary of the New Testament. Vol. 2. Grand Rapids, MI: Eerdmans.